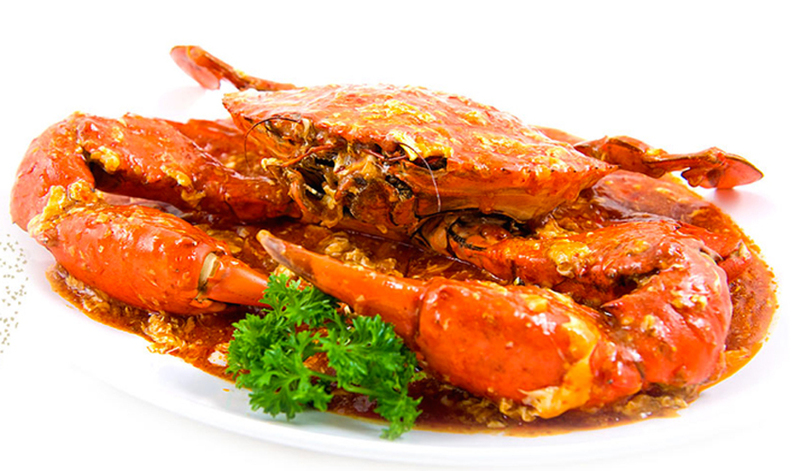 Heat oil in a wok and lightly deep fry crabs until they turn red. Remove and drain off excess oil. Pour away the excess oil leaving around 4 tablespoons in the same wok, heat oil and fry shallots, garlic and ginger until fragrant. Next add in Lingham's Chili Sauce and water, bring to a boil and season to taste with salt, add in the crabs, cover and cook over medium heat for 5 minutes. Stir in the tapioca starch mixture to thicken the sauce. Lastly, stir in the whisked egg whites to create a flower drop effect. Garnish with chopped fresh coriander and serve immediately.